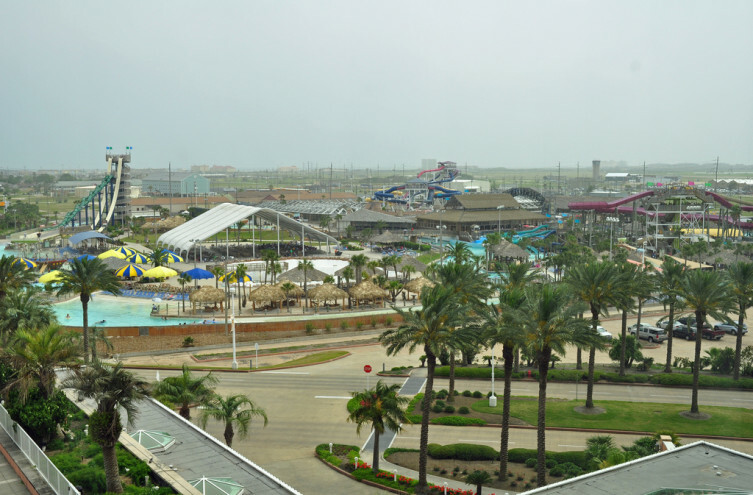 The Schlitterbahn Water Park at Galveston Island is a 25 acre water park consisting of substantial improvements of two existing on-site facilities, including a 43,000 square foot aircraft hanger and a 19,000 square foot maintenance building. 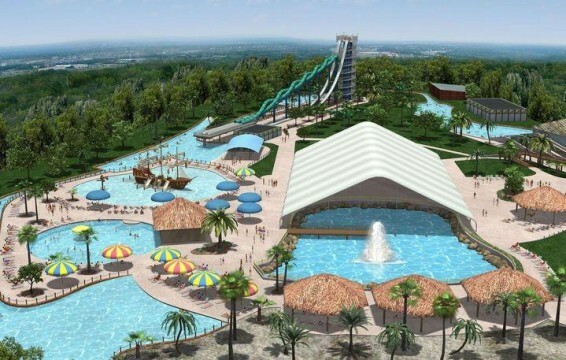 The aircraft hanger was converted into an indoor water park with indoor pools, a walk up/swim up bar, kiddy pools, and a series of rivers running throughout the building. Two stair towers were added to accommodate approximately eleven slides that will feed into the outdoor river systems below. There is a Shrimp Haus Restaurant and kitchen, offices, a game room with associated kitchen and bar, first aid, restrooms, showers, dressing rooms, and lockers. The maintenance building was converted into a entry building with a plaza which is surrounded by a gift shop, photo shop, customer service, ticket windows, and cash control. Restroom facilities provided will include restrooms, showers, dressing room kiosks, and lockers. A second level was added to the building to house mechanical equipment, the network operation center, and security. 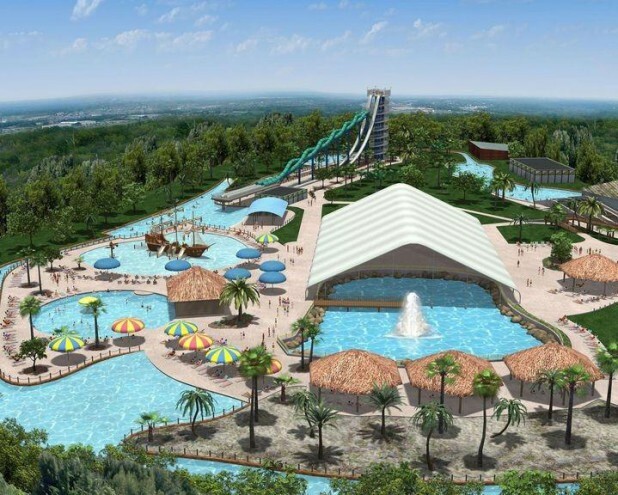 The outdoor water park includes a flow rider, a tidal wave river, transportaiment river, momentum river, kiddy pools, beach areas, group area shelters and restrooms, BBQ Haus kiosk and kitchen, walk up/swim up bar, volleyball courts, restrooms, and palapa shade structures.